Great Instant SEO : Call speMEDIA 0776 260 360 now! speMEDIA offers you search engine optimization (SEO) services for your new or existing website design that will help you increase revenue, achieve higher rankings and get a constant stream of new customers every day. In online marketing, search engine optimisation (SEO) plays a very important role. Here at speMEDIA, we make use of a combination of the latest on-site as well as off-site SEO strategies in order to produce the best results. Each day, the search engines giant, Google, processes billions of searches. Interestingly, most users of Google never look beyond the first page. This is why ranking is important. Do You Know Where Your Company/Website Ranks? A great SEO campaign involves identifying the most effective, highest ranking keywords. This whole process involves us gaining insights into those questions and concerns that your existing and prospective customers have. Take note of this; there are a lot of businesses out there who are competing for the same customers as you, therefore the same keywords. We come in to analyse the strengths and weaknesses of the relevant keywords in order to find new opportunities for your continued online growth. Relevant traffic to your website as well as authority in Google is determined by links from established, high-quality websites. Imagine what a link from The Herald to your website will do to your traffic and ranking! On-site optimisation is determined by user experience. The content on your website design contributes greatly to an optimised user experience for both search engines and users. Brand identity is very important! In fact, it should be obvious. This includes even the sign on your door! You must be able to carry your brand message across your marketing assets, as well as your signage. 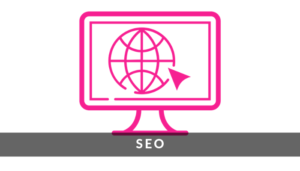 Yes, SEO will get your company in front of the global audience. However, reaching local people is the main focus. speMEDIA will use local SEO techniques in order to help you reach the customers that are right outside your door. As mobile technology advances, people are using their phones to search on Google more. Because of that, your website will need to be optimised for mobile devices so that you can reach a growing number of consumers using mobile devices. For that reason, our team of experts will focus on important ranking factors. These include implementing schema mark-up, increase page load speed as well as creating an interface that is simple and intuitive. Video has become important in content marketing strategies. This is because many users would rather watch a video than read a long article. Furthermore, Google usually displays video content in the search results. Here at speMEDIA, we help you to climb the rankings so that your customers find you easily. Talk to us today so that you can discover the possibilities. Can you help me with getting SEO for my website in Zimbabwe? Yes, we can host your website today! Why not give us a call on +263 776 260 360 or email us to discuss your company’s SEO needs whether you are in Harare or anywhere in Zimbabwe. Get a free no obligation estimate or contact us to discuss your exact requirements. We appreciate that your business is unique in its own right. Therefore, we will design a personalised SEO strategy for you. Kindly fill the form below and we will reply you urgently with a custom price quote. We are open from Monday to Friday 8 am to 5 pm.